As soon as the christmas sweets disappear from the supermarket shelves, the Easter Bunny takes centre stage. Easter eggs are hidden and children full of adventurous curiosity search for them in gardens and apartments. 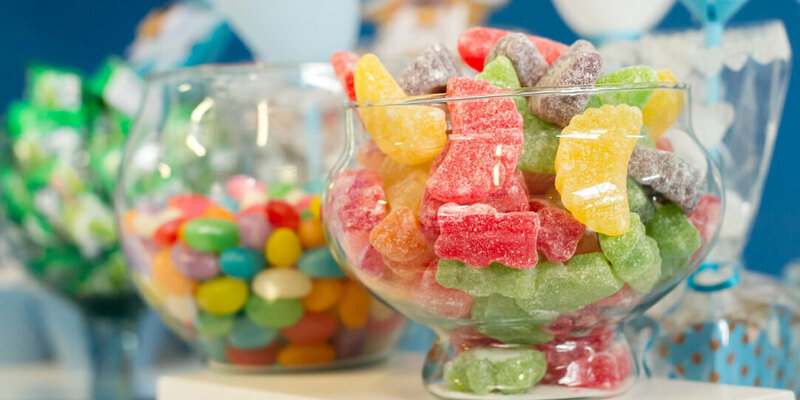 The treasures found are hoarded at home, but the variety of sweets also poses a great challenge to children and their parents: keeping those pearly whites healthy during this sweet tooth frenzy. In today’s article, we aim o give you some tips on how to get children’s teeth safely through the Easter chocolate season. The biggest attraction for children at Easter hunts is the search and not so much what they find. That’s why you exchange some chocolate for other goodies. A small set of coloured pencils, stickers, soap bubbles or a toy car are good substitutes for chocolate and other sweets. For older children an exciting treasure hunt can be very fun. They can hide small clues and riddles, which finally lead to a great gift. Talk to relatives and friends in advance who would have given your children an Easter Egg and reduce the amount if necessary. This will give you an overview of their sweets intake and can ration them sensibly. Use the Easter period to explain to your children how important oral hygiene is and further the importance of regular and correct tooth brushing. Explain to them what chocolate and sugar do to their teeth. A trip from us: We’ve already done a little experiment on this in our blog to show how acid can attack tooth enamel (in the form of a chicken egg). Foods that strengthens tooth enamel should come to your table at Easter to counteract the sugar in sweets. These include cheese and milk as they contain a lot of calcium. Also place fluoridated salt on the dinner table. Fluoride makes enamel harder and more resistant. Children should not eat all day long. It is better to give children something sweet once or twice a day, then brush their teeth to prevent bacteria from attacking the teeth. The situation is different with sour food. Here it is advisable to wait at least half an hour until you brush your teeth, because the enamel is weakened by the acid and strong brushing can lead to damage to the teeth. If there is no possibility to brush your teeth, sugar-free chewing gum will help. Chewing stimulates the flow of saliva and washes away the acid. But beware: chewing gum does not replace brushing your teeth. In addition to taking care of oral hygiene at home, visiting and getting advice from the dentist is also very important. . So make an appointment for a check-up early enough at a dentist’s office that you trust.